Feeling much better on Friday 11th I opted for some birding. First I visited drain that runs behind PC World near Holes Bay, this forms the outflow for the nearby sewage works and the warm water produces a microclimate that attracts wintering warblers. Chiffchaffs are a common summer visitor but are quite scarce in winter so an aggregation of ten or more birds along the drain is most unusual. We ringed a number of these Chiffchaffs last year and it is pleasing to report that two (one of which may be of the Siberian race tristis) have returned this winter. We need to recatch these birds to be absolutely sure and we hope to be able to do this in due course. With the tide in I didn’t bother to look at Holes Bay but headed out to Ringwood and a flooded area known as Bickersly Common. A Glossy Ibis took up residence here in December and remains into the new year. Once a major rarity, numbers have greatly increased in recent years and the copy of British Birds journal that arrived today has confirmed that it has been removed from the list of official rarities. The colonisation of the huge reserve of Coto Donana in southern Spain seems to be the reason for the change of status in north-west Europe. Viewing conditions at Bickersly Common were far from ideal. The River Avon has flooded Bickersly Common making it a haven for wildfowl. Looking directly into the sun it was impossible to photograph the Glossy Ibis, so here is one that I shot in 2012. Later at Blashford Lakes I was able to see a Bittern, Great White Egret and many species of wildfowl. Several hides have smoky windows which allows you to get very close to birds, great for those who don’t have optics, but not for taking pictures, however one window does open and there are always a gaggle of photographers trying to squeeze in to use it. From the woodland hide I was able to photograph this Goldfinch ……..
…. this male Lesser Redpoll …. … along with this female Lesser Redpoll …. … a male Siskin …. … and a female Siskin. Unfortunately this Brambling had to be photographed through the smoky window. With Margaret’s condition worstening I spent all of Saturday with her. The whole family came round on Saturday evening to wish her well and share some pizza. On Sunday morning I visited Holes Bay where I saw both Spotted Redshank and Common Sandpiper along with a few Chiffchaffs and a Kingfisher. Unfortunately visits to Holmebridge near Wareham on Sunday and Monday in search of the Pink-footed Goose that has been there since late December drew a blank. 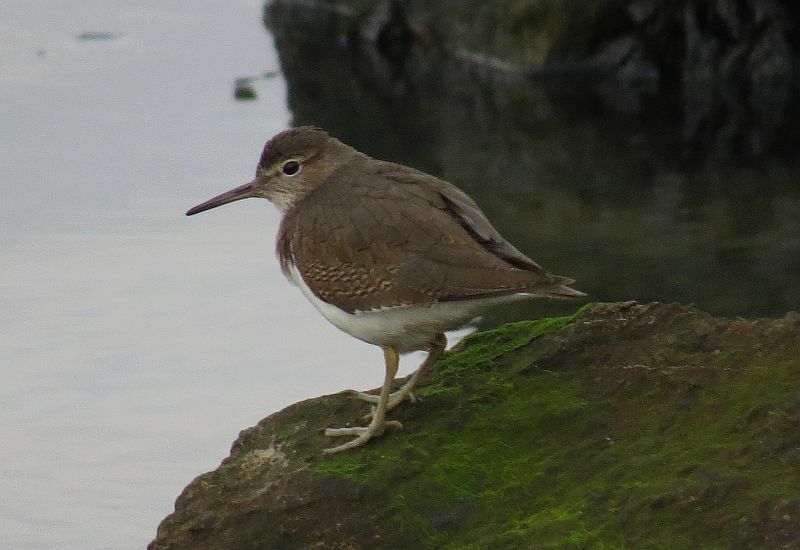 The same Common Sandpiper was photographed by ‘Poole Parrot’ and has been reblogged from Bird Forum. 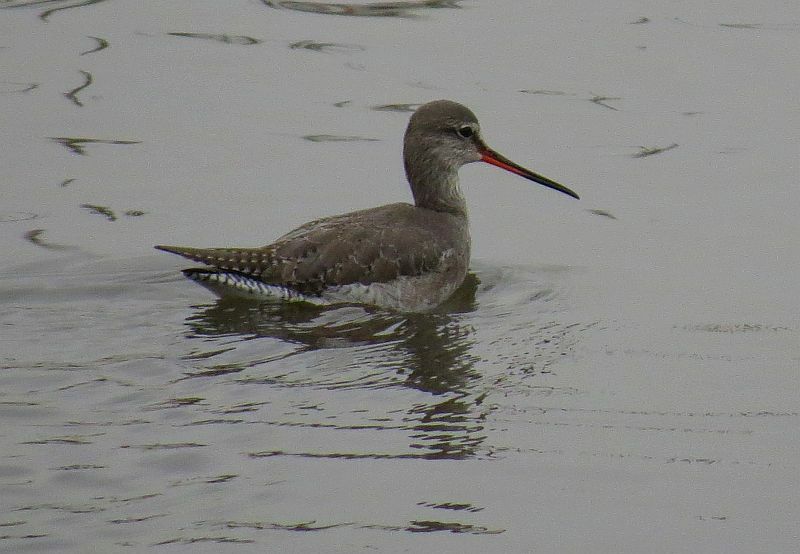 The Spotted Redshank was photographed by ‘Poole Parrot’ and has been reblogged from Bird Forum. « 7th – 10th January – under the weather, but still active.